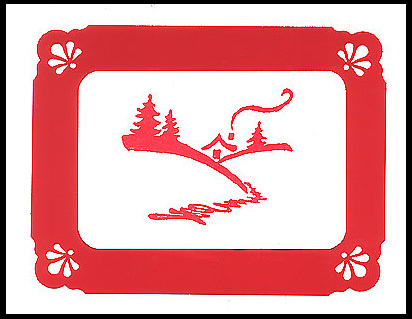 “Winter Cabin” is stamped on white card stock with a Yasutomo cranberry color cube and embossed with clear powder. This is layered over red glossy card stock which was corner punched and both of these are layered on white card stock. Card by Margaret Wiggin.